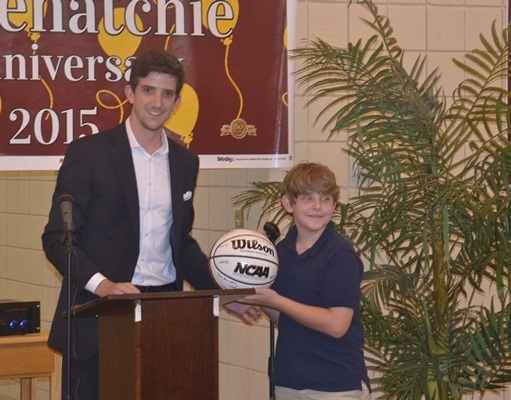 USC Salkehatchie held their athletic banquet Sunday evening April 20th. Head Basketball Coach Corey Hendren presented Jesse an autographed basketball by the whole team that said Top Manager. Coach Hendren talked about Jesse and his commitment to the team, then called him up to receive his ball. Great Job Jesse!